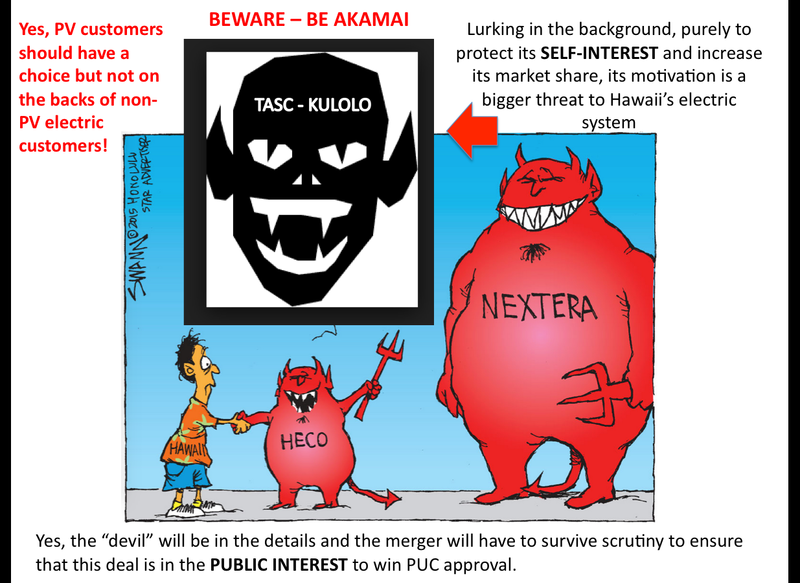 I see that TASC-KULOLO is ramping up its social media propaganda. 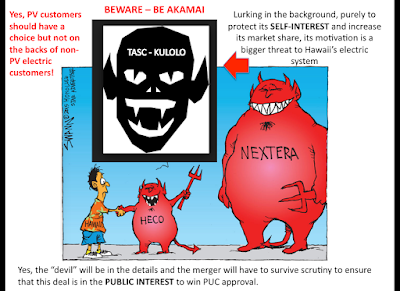 If a picture is worth a thousand words, here's how I think the Star-Advertiser's editorial cartoon should be revamped with my overlays. Ensuring a sustainable, affordable and reliable clean electric system with long-term benefits for ALL is the yardstick for success of Hawaii's energy transformation. Short-term gains of pushing for savings for a few at the expense of the rest of Hawaii's residents and businesses does not promote Hawaii's values of aloha and community.